Home » Blog » Could I Hang With Jesus? Could I Hang With Jesus? There comes a time in every person’s life when he or she is faced with the choice to go with the crowd or stand against it. 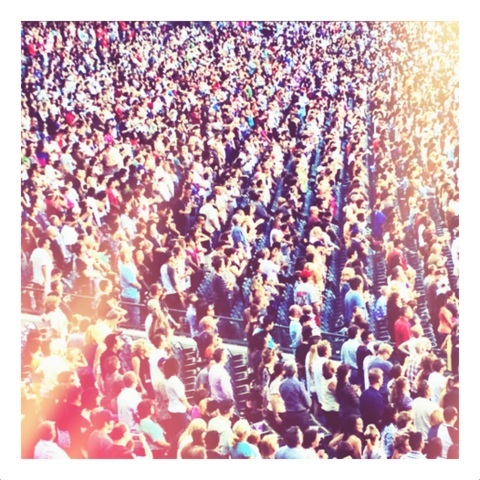 The “crowd” can represent money, status, acceptance, career success, conformity, popularity or just plain coolness. Sometimes the crowd is in our churches saying we ought to say and sing the name Jesus, but not always do what Jesus would do. The crowd doesn’t always like the radical ways of Christ. They disrupt comfortable routines. They confront, challenge, and call for change. Honestly, I sometimes wonder if I could have hung with Jesus. I really would like to have walked and talked with him and learned from him. But after being the lead singer in the band, the lead on the team, the lead preacher, could I be a follower too? Has the popularity and acceptance made me so comfortable that I have lost the courage of the prophetic spirit? Am I willing to live out the teachings of Jesus to the point of losing my crowd pleasing status? Every time we retrieve a part of our life from the crowd and respond to God’s Call to us, we are that much more ourselves, more human. Every time we reject the habits of the crowd and practice the disciplines of faith, we become a little more alive. To answer the questions posed above, well, let me say it like this. I do want to be liked. But I’ve learned that when it comes to the crowd leading the church in being a comfortable social club, I must stand and speak out. When I see the church gaining the crowd but losing her life, it’s time to give up popularity for the prophetic spirit. Help us, Lord ~ give us the strength and courage to hang with You. By kbcministry in Blog on January 28, 2013 .